Political Assassinations – The “New Normal” Trend Weapon of the Global Elites? Assassinations to reach an objective is not new for the all-powerful. The practice has been going on at least for centuries, if not for millennia, but it has intensified drastically in the last fifty years, and it is becoming ever bolder, as the rulers of the Anglosphere tighten their grip on humanity – on Mother Earth and her resources. . They see their end may be nearing. People have increasingly access to alternative sources of news and information, and ever more people gradually start seeing the Big Lie of the controlled media, the propaganda that confuses their minds – and serves the 0.001%. So – these obscure self-nominated “Masters of the Universe”, controllers of the western monetary system, are racing towards the New World Order, knowing that if they don’t hasten, they may not reach it. Their impunity has become increasingly daring. Their pressure is on chief-puppet Obama, whose pressure is on NATO and his European and Mid-Eastern vassals, and the pressure they exert on the world is by devastating wars, death, chaos, destruction of entire countries, economies, people – robbing of their resources – making them destitute, homeless and sick, many of them into refugees, fleeing their homelands – and where do they go? – To their own executioners, to the countries of the European Union (sic), to the very spineless nations that helped destroy their livelihood, where they are not welcome, to say the least. But do they have a choice? – Nope. It’s the closest place for them, where food and water and shelter, indispensable for sheer survival, may be available. Assassinations come in handy, when there is a serious roadblock to the advancement of the self-elected rulers of the world – the elusive potentates, who are not just happy with dominating the Anglosphere, the world it must be. 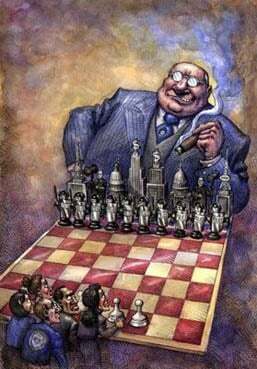 These few individuals or families have control over an all-overarching corporate finance kingdom, led by the military-security complex and world banking, spearheaded by the FED-BIS-Wall Street, intimately supported by the IMF and the very “World Bank” itself. Does the Sudden Death of 38-Year young Shawn Lucas (right) come as a surprise? – On 28 June 2016, on behalf of supporters of democratic presidential candidate Bernie Sanders, and donors and members of the Democratic Party, Shawn Lucas filed a lawsuit against the DNC and its Chairwomen, Debbie Wasserman Schultz, in an unprecedented nationwide class action for fraud. The charges included corruption, breach of fiduciary duties, voters’ fraud and manipulation with the aim of sidelining Bernie Sanders and assuring Hillary Clinton’s election at the Democratic National Convention. The DNC succeeded not only in electing Hillary as the official Democratic candidate, but also in soliciting and obtaining Sanders’ support for Hillary. Julian Assange, WikiLeaks, said that he has damning evidence of Hillary’s fraud with the Clinton Foundation, as well as on the actions by the DNC to illegally exclude Bernie Sanders from his candidacy as a Democratic Party nominee. 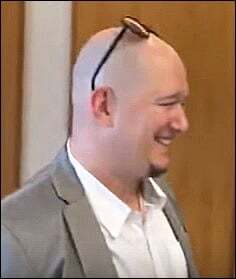 Shawn Lucas’ lawsuit may have contained critical evidence that could have put an end to Hillary’s candidacy. Could that have been the beginning of the end of the military security industry’s bonanza, as well as for the golden age of Wall Street, both of whom are counting very much on Hillary’s presidency to continue their ravaging onslaught on the world – with bombs and bank. Killing the messenger has been an old tactic of dictators to frighten other ‘potential messengers’ from misbehaving. A DNC data analyst, Seth Rich, who worked on voting rights issues, was murdered on a Washington DC street, last month. It raises theories and speculations – did he know something that ought not to be known? – His killing remains unsolved as of this day. Killings, assassinations and outright wars, carried out by Washington through secret services, military and NATO, within the US and around the globe, abound. Remember, the US Government and its massive machine of aggression are mere puppets for the small and all powerful elusive elite, those that have become so sure of themselves and of soon attaining their goal of One / New World Order, they are now displaying in public and without scruples their – hitherto kept secret – satanic ceremonies of all-controlling power. Murders of those in the way of reaching their objective are mere bylines. A parade of blatant freemasonry at its worst. What before were carried out as occult gory ceremonies are now in the open. They don’t care. Is this a message that they have soon achieved their goal of full spectrum dominance; or is it a warning of more atrocities to come, as things are not running as smoothly anymore as they were in the past hundreds of years? – How could the Swiss Government support this ceremony? Or was it coopted into it? After all the WEF (World Economic Forum), a freemason smoke screen, as are the Bilderbergers, the Trilaterals, the CFR, Chatham House and more – almost always takes place in Davos, Switzerland. 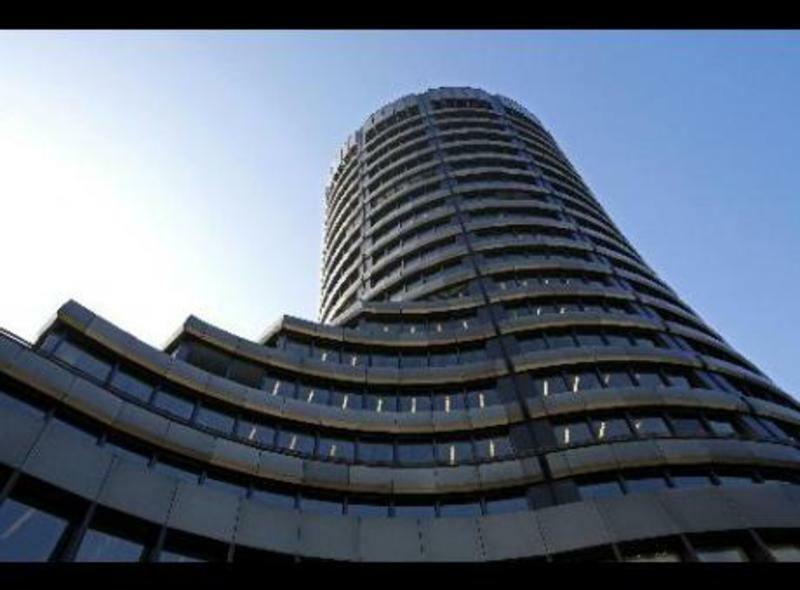 Likewise located in Switzerland (Basel) is the highly secretive BIS (Bank for International Settlements), also called the central bank of central banks, all-privately owned, Rothschild dominated, created in 1931, in the midst of the Grand Depression, presumably to regulate German reparation payments after WWI – the BIS, through which all international transactions have to transit and which served the FED-Wall Street to channel funds to the Deutsche Reichsbank during WWII to finance Hitler’s war against the Soviet Union. – A legitimate question would be: Who runs Switzerland? Also comes to mind the Sudden Death on 18 January 2015, by gunshot in the head, of Argentine prosecutor, Alberto Nisman. He was in charge of investigating the bombing of a Jewish Community center in Buenos Aires in 1994 that left 85 people dead. He had allegedly evidence against Cristina Kirchner for an alleged cover-up on behalf of Iranians who were suspected in the bombing. In fact, Iran was accused by the CIA for the bombing, but a motive was never given. It just was convenient at that time – as it would be today – to hit an unaligned country with a fabricated accusation. More likely was the AMIA (Spanish acronym for Argentine Israelite Mutual Association)bombing a false flag carried out by Mossad to ensure that Argentina would stick to Washington’s imposed blockage of potential energy trade relations between Argentina and Iran. This case will probably never be solved. But it is possible that Alberto Nisman had the answers in his report – which was not supposed to see the light of the day; and that the killing of Alberto Nisman was NOT instigated by Cristina Kirchner’s people, as the western media were propagating. Then, there are the thousands if not ten thousands of victims of false flag attacks, since the Big One, 9/11, that set the horrendous and endless war on terror in motion. They take place all over the world, by so-called Jihadists, who for sure have nothing to do with Islam, but are coerced or forced into killing innocent people by western secret services, mostly the odd trio- CIA-Mossad-MI6 – mere peons for the cause – to accelerate the power elite’s objectives. The ‘aggressors’ are almost invariably killed on location by the police. Dead men don’t talk. The Anglo-American owned media make sure fear is spread widely and thoroughly so as to prompt people at large to literally and voluntarily give up their human and civil rights, asking for militarization of their countries – for their protection. What more do these pathetic beings (I can’t call them humans) on top of the pyramid want? – Full submission? What for? Hundreds of trillions if not thousands of trillions of our fake western fiat money they have hidden away, outside of the world’s fiscal authorities’ eyes. But here comes the crux and our chance. They need to fully dominate the world, with this fraudulent worthless thin-air dollar-money, control Russia and China – hence the aggressions by NATO on Russia throughout Europe, and by the US Navy fleet in the South China Sea. They are the monster’s last serious vestiges. They are also the hope, the only hope, for the unaligned nations throughout the world, those who do not want to submit to the clutch of the global elites. Salvation comes by leaving the dollar-euro based monetary system and join the new system under preparation by Russia and China, to which are also linked the Shanghai Cooperation Organization (SCO) and eventually the BRICS. They comprise half the world’s population and about one third of its economic output (GDP). This alternative system is almost ready to be rolled out. The presstitute doesn’t write about the CIPS – the Chinese International Payment System- that is ready to circumvent the all controlling dollar-based SWIFT and the BIS. The rulers of power know it. It will be their demise. I have said this many times before and say it again: Defeating the western dollar-based monetary system by abandoning it for a viable alternative offered by the East, may be THE non-violent way of escaping the merciless oppression by the West. China and Russia have gold-backed currencies. The West has money made of thin air. The Rothschilds and Rockefellers of this world also have huge amounts of gold, in fact, tons of gold reserved in the vaults of the BIS – quantities kept in highest secret – but it’s nowhere near enough to cover the thousands of trillions of thin-air dollars floating the globe. We may be approaching the end game. Let’s stay above ground where the light is and knowingly and with an awakened consciousness escape the satanic underground world of the ultra-powerful few. Peter Koenig is an economist and geopolitical analyst. He is also a former World Bank staff and worked extensively around the world in the fields of environment and water resources. He writes regularly for Global Research, ICH, RT, Sputnik, PressTV, The 4th Media, TeleSUR, The Vineyard of The Saker Blog, and other internet sites. He is the author of Implosion – An Economic Thriller about War, Environmental Destruction and Corporate Greed – fiction based on facts and on 30 years of World Bank experience around the globe. He is also a co-author of The World Order and Revolution! – Essays from the Resistance.